* Always make sure your makeup look is classic so when you look at your pictures 10 years from now...you look timeless! * Seek out a professional makeup artist at least six months in advance to lock them in. * Tear out your favorite makeup looks from magazines for ideas. * Request your Makeup Artist use water-proof products on your face to ensure a flawless, long-lasting look. * Always request a trial run-through so you can approve of the overall look your Artist has created. * Facials, microdermabrasion and other facials should be done at one month before your big day to ensure your beautiful skin has been restored. * Drink lots of H2O leading up to your big day. * Wear a set of beautiful faux eyelashes to give your eyes a pop! Don't forget your touch-up kit that you assign to a VIP to carry around....just in case you need to add some color to your lips or you need to freshen up with a blot powder, or mints. Remember this day is ALL ABOUT YOU so be confident and put on your BEST FACE! Tia Dantzler is a favorite expert on African-AmericanBrides.com. She is known worldwide for her work. 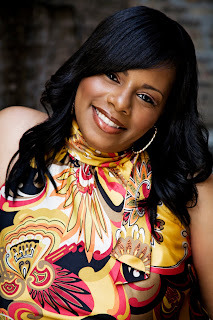 Her clients include President Barack Obama, Maxwell, Jennifer Hudson, Magic Johnson, and Keke Palmer - to name a few! See more on her personal website. It is necessary to take make up like this way. Great blog! I look forward to reading more! Great tips and the article generally is really helpful for someone doing bridal make up! Useful Information....This is great information for people who are looking for wedding makeup tips & advice. Great Idea Indeed! A Wedception: Your Dream in Green? Tiny & Toya - Will You Be Watching? Want to be a Bridal Star? Winners of the You Saved Me Giveaway!